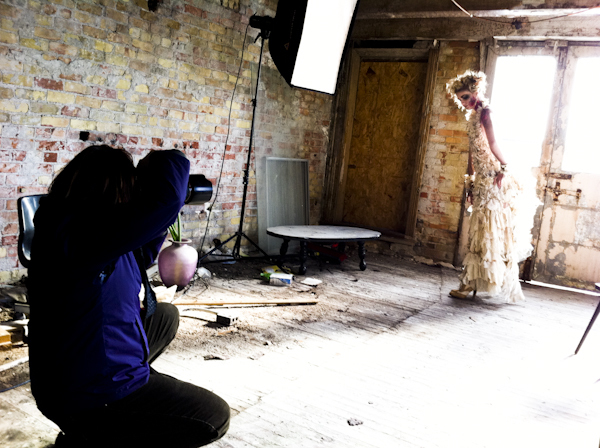 We got to do another shoot with Andrea Hanson/Pretty Macabre’s wardrobe today! She calls it the “Burn Dress”, which was shown on the runway at An October Evening 2010. 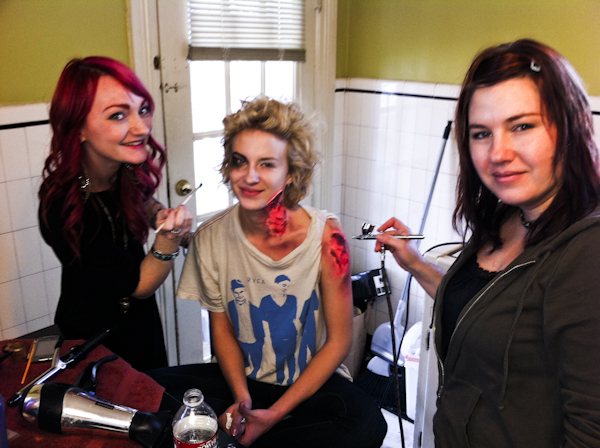 Like I mentioned in a previous post, Andrea loves Horror, and we do too… so we had a blast with this shoot. The dress was made with burned edges, and I added a touch of SPFX burn makeup on Laura’s neck and face. Andrea did a fabulous job doing Laura’s hair and makeup… and we had a pretty cool location to work with! I shot a few fun video’s, one of Todd finding and shooting a dead bird… and the other of Todd setting up lights and getting ready to shoot (posted below).